Fox Release 2 New Explosive TV Spots for Ridley Scott's 'THE MARTIAN'! 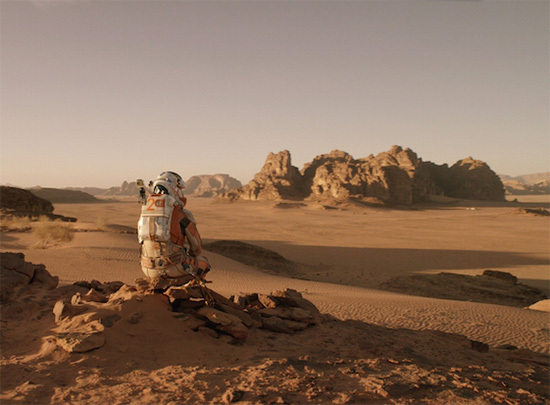 20th Century Fox have released two new TV Spots for Ridley Scott’s The Martian. The movie which hits theatres this October 2nd is based on Andy Weir's best-selling novel & features a star-studded cast including Jessica Chastain, Kristen Wiig, Kate Mara, Michael Pena, Jeff Daniels, Chiwetel Ejiofor & Donald Glover. The movie is produced by Scott, Simon Kinberg, Michael Schaefer, Mark Huffam & Aditya Sood. Hit the jump for the details. I'm reading: Fox Release 2 New Explosive TV Spots for Ridley Scott's 'THE MARTIAN'!Tweet this!